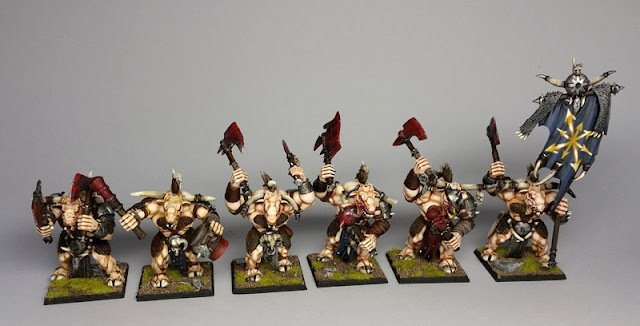 Minotaurs, painted for the same person for whom I previously painted a few beastmen. Although I loved the beastmen, I'm not terribly fond of these plastic minotaur figures. Probably won't be painting much more commission work for the foreseeable future.